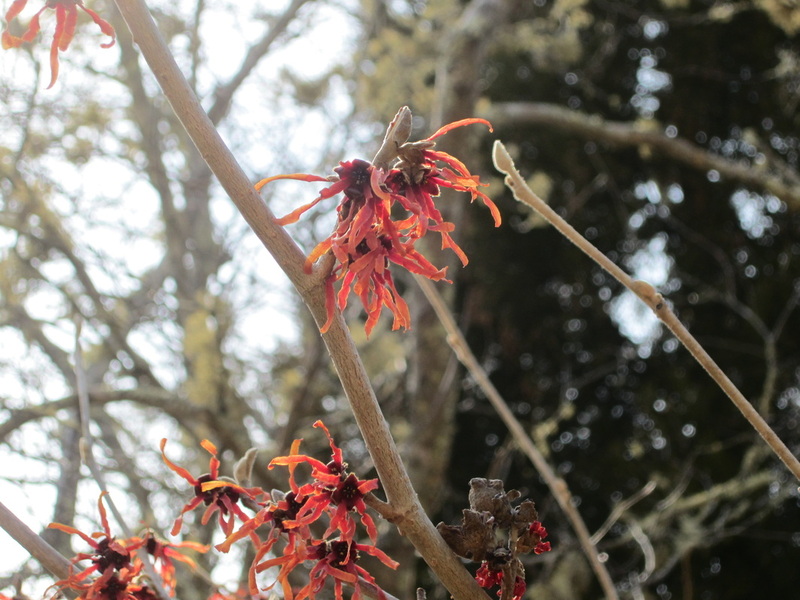 In mid-January, Steve attended a small course to better understand the black oak gall wasp (formerly known as the crypt/Cynipid gall wasp) and it’s detrimental effect on our oaks. This is the insect that’s been responsible for infesting, damaging, and killing many of the black oaks of the cape and islands over the past 4 years. 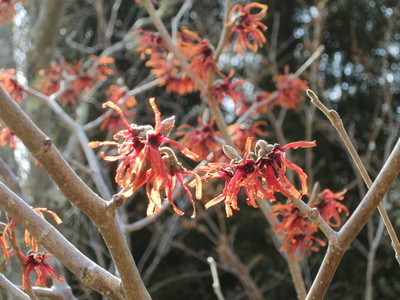 There was a similar infestation in Long Island, New York back in the nineties that eventually went into remission. 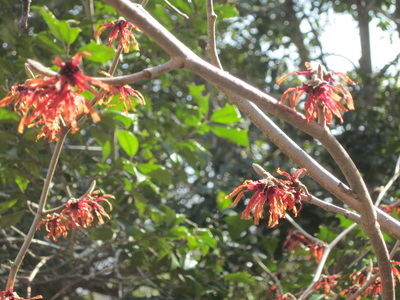 Although the end of this infestation is unclear, in a similar situation, back in 2005-6-7, winter canker moths and caterpillars suddenly went away after three years of substantial damage. This cold winter should be telling… By spring/budbreak, we will be able to reassess the possible continuing damage. 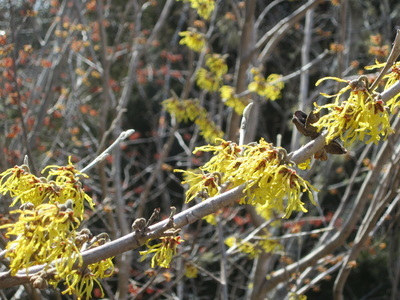 Steve's witch hazel collection has bloomed! 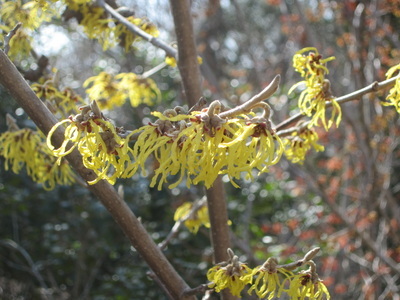 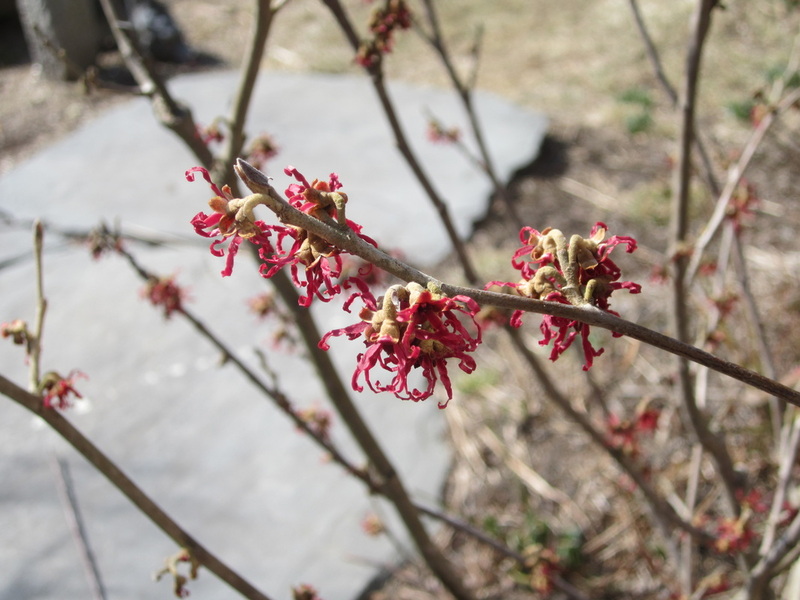 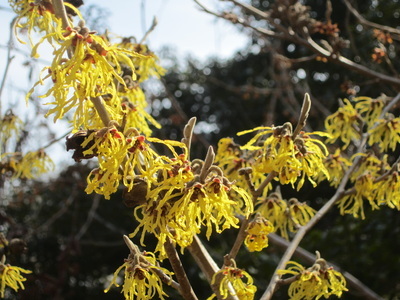 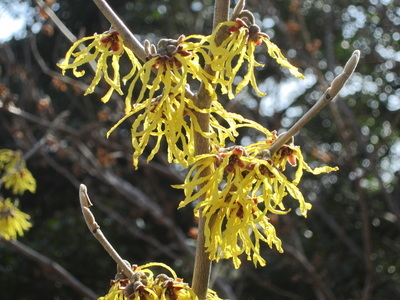 Adding witch hazel varieties to your landscape offers bright splashes of color in the late winter and early spring months when most other plants are just waking up.